We would not be able to operate without our passionate volunteers who chose to devote their time, energy and skills to our cause. To sign up as a volunteer contact info@savethemed.org and tell us a bit about your skills and interests. We will add you to our volunteer email list and when we have tasks to delegate, we will send out an email through MailChimp, describing what we need help with and when. If you are available to help us all you simply reply to the email, and we will provide you with more information. Please add info@savethemed.org to your contacts to make sure that our emails reach you and not your spam filter, which can sometimes be the case with campaign emails sent through MailChimp. Below we have listed some common volunteer tasks related to our ongoing projects. Having said that, you ought to know that we are a bunch of creative people with a huge passion for what we do and brains that constantly get invaded by new ideas, which means that new tasks constantly come along! 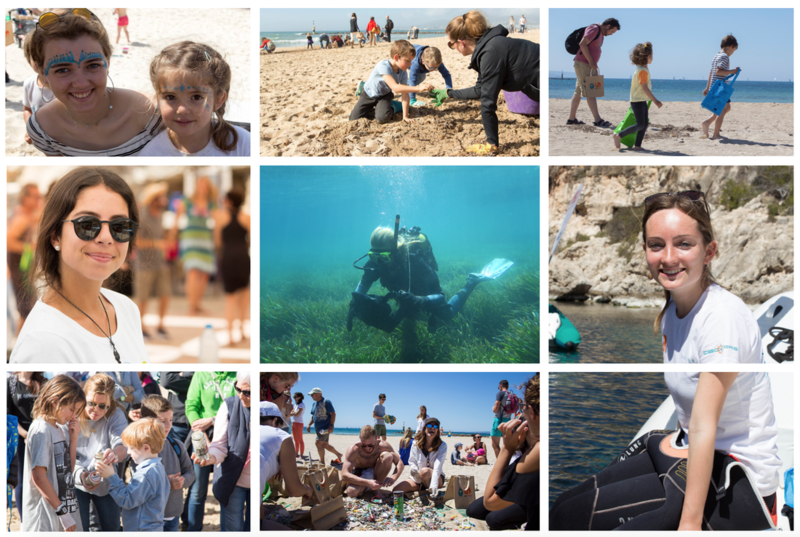 Our Dos Manos projects: Some extra hands during beach cleans, assistance during school programmes, help with logistics, data collection, coordination of beach cleans, photography/videography. Events: Event organisation, logistics, information sharing, awareness, new membership subscriptions, fundraising. Fundraising: Organising fundraising events, recruiting members, organising online fundraisers. General tasks: Translations, graphic design, administrative duties, multimedia, campaign development, writing articles, social media. Expedition assistance: Occasionally we need extra people on board our expeditions. Tasks can vary from helping out on deck to assisting diving scientists in water, documenting the event etc. Note: To assist on expeditions highly advanced SCUBA experience and reliability are necessary. Only volunteers that have been with us long enough to demonstrate these qualities previous to an expedition will be offered these positions. This is both to ensure onboard and in water safety and the quality of the work that needs to be done. Depending on the period at hand we occasionally have the possibility to offer internships. If you are looking to do an internship, please send information about yourself and the type of internship you are searching for to mari@savethemed.org. She will be able to give you more information about current possibilities.